Frank Coletto and Donna Hansen-Coletto are the owners and operators of Heaven’s Best Carpet Cleaning Hickory NC. They have been operating their business since 2011 in Hickory and Catawba County, and they continue to build their business by leaving each customer with the highest level of satisfaction. Frank and Donna have won many awards based on customer satisfaction. Most recently, they won the “President’s Award.” This is the highest level award available from their franchisor, and they have won it two years straight! This rare award is based on consistent customer satisfaction and business growth over a 5 year period. 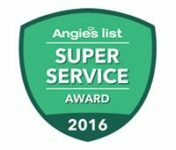 They also won Angie’s List “Super Service Award” in 2013, 2014, 2015, and 2016. They maintain an A+ rating with the Better Business Bureau. Frank and Donna use only eco-friendly products in their cleaning. Your carpets will be safe for children (even babies) and pets. This cleaning solution can tackle the toughest stains without using harmful chemicals. Their goal is to get the job done right while being as “green” as you can get. Frank, Donna, their son Patrick, and their entire crew thrive on “going the extra mile.” Their goal is to leave each job with a happy customer. Your satisfaction is what makes their day. Give them a call today for a free estimate! Heaven’s Best Services Carpet Cleaning Hickory NC offers many services. We take pride in our carpet and upholstery cleaning, as well as all other services. Do you need your air duct or dryer vent cleaned? We can take care of that with our air duct cleaning and dryer vent cleaning and sanitizing. Has your hardwood floor lost its shine? Our hardwood floor cleaning and polishing is top notch. Do your tile floors or rugs need cleaning? We offer tile and grout cleaning and sealing, marble polishing, and oriental and area rug cleaning. We serve both residential and commercial needs in Hickory and Catawba County. When you call Heaven’s Best, we answer the phone. Whatever cleaning service you require, we can help you. Whether you need carpet cleaning, duct and dryer vent cleaning, or another service, we’ve got you covered. We will not leave until you are 100% satisfied. Heaven’s Best Carpet Cleaning is here for you, and we want to make your home beautiful. Our goal is to exceed your expectations. You can trust us with your carpets and upholstery because we will treat your home like it is our own. Give us a call today and we will give you a free estimate! Rooms not to exceed 250 Sq. Ft.